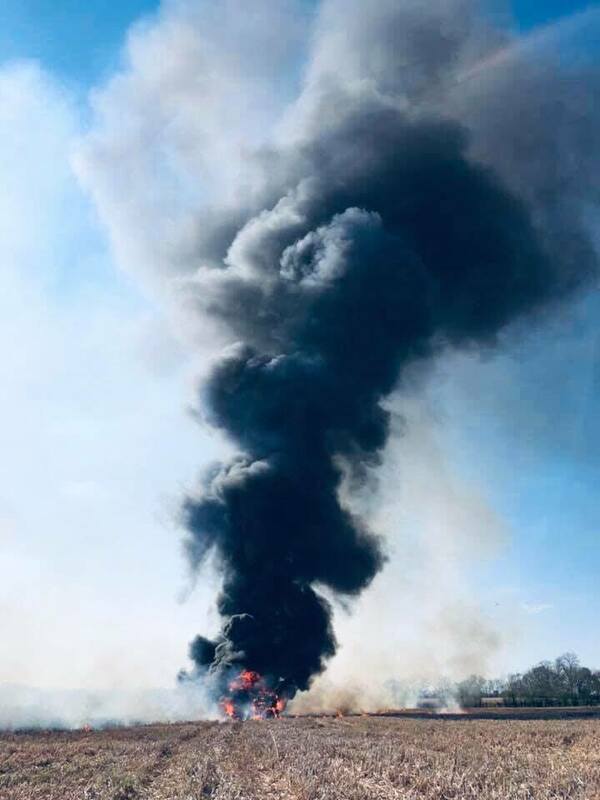 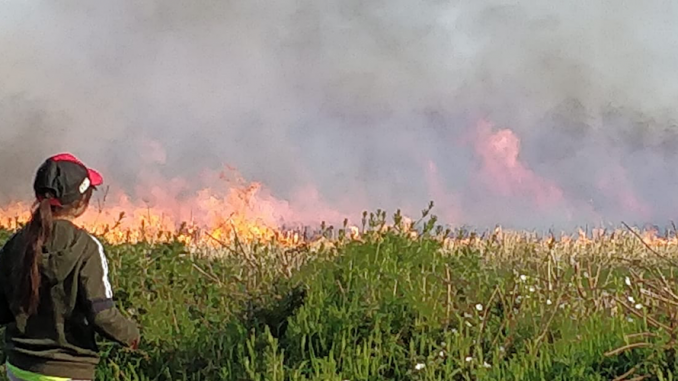 Two fire engines from Taunton and a water carrier from Bridgwater were mobilised to a report of a harvester on fire in a field of elephant grass on Fennington Lane in Kingston St Mary at 16:21 this afternoon (Thursday). 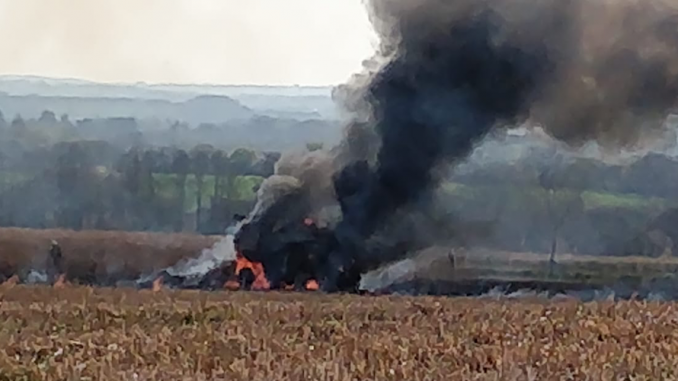 On arrival, crews confirmed the harvester was well alight and the fire also involved approximately 150 metres of elephant grass and stubble. 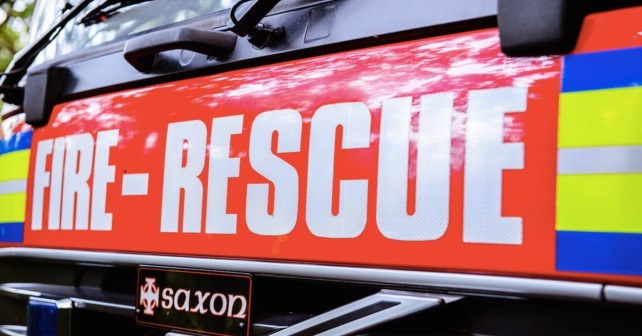 A third fire engine from Bridgwater was also requested to attend for extra personnel. 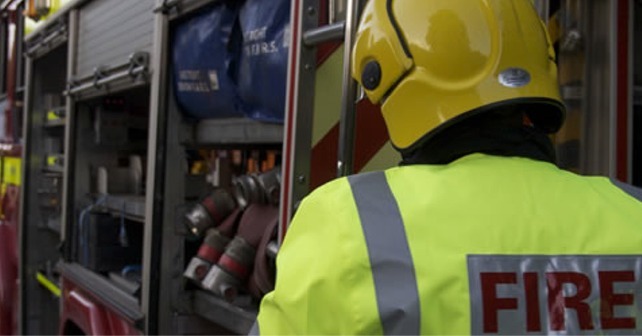 Crews extinguished the fire using two breathing apparatus, three hose reel jets and one foam jet. 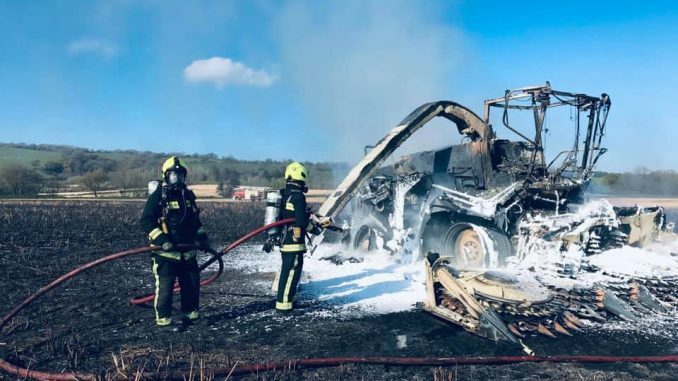 The harvester was totally destroyed by fire and approximately 5 acres of elephant grass and stubble.